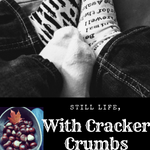 Third Birthday Celebration | Still Life, With Cracker Crumbs..
My little guy is three. Three! I can scarcely believe how fast these years are going by. It seems like just yesterday he was a tiny peanut in the NICU. The day Wyatt was born was the coldest day of the year that year. This year, we had a severe winter storm alert the night before. Schools were called off, big snow, ice and just generally crappy conditions were forecast. We were disappointed since Billy had taken the day off of work for us to celebrate as a family. And when we got up, the weather was pretty nasty. But within the hour, it began to warm up, and thaw. And melt. Huge snow clumps were raining from trees and telephone wires and house awnings, like enormous snowflakes. The sky was blue, the air was not blisteringly cold, and there was no bone chilling winds. So, we loaded up with multiple coats and layers to prepare for the day and whatever it might throw at us, and headed out into the blue. Once Wyatt finally stopped eating doughnuts, we set our sights north to the Detroit Zoo. We have a membership to the zoo, and we love it. One of the things we love most about it is that with a membership, we never feel pressured to “do” the whole zoo in a day, if we don’t want to. We can show up, walk around for an hour or so, just visit our favorite animals. We do of course visit all the exhibits some days, but most of the time we amble about, taking our time. And we love to go on weird off days, when we have it mostly to ourselves. And Wyatt’s birthday was perfect – almost empty, probably due to the fact that it was midmorning on a Friday, and that the weather had been miserable in the morning. Plus, you know, it is winter. Lol. So, we had the zoo to ourselves. First stop was the amazing Polk Penguin Center. It is seriously awesome, with a 4-D experience to enter, like you are on a boat headed to the Antarctic, complete with day and night changes, storm simulations, and even a little rain and water spray. Wyatt loved that part, getting wet in the spray. He loves the penguins, probably because he can get face to face with them! That little trio of Gentoo penguins waddled on over to preen and show off and pose – the volunteer told us that the Gentoo are the friendliest and love to have their photos taken! If you want to see the penguins in action, you can check out their webcam feed. From the Penguin Center, we headed further in, toward the River Otter habitat, one of our family favorites. This little river otter family is so delightful and entertaining, the way they zoom around, and play. We could stand and watch them for a long time, and we were the only ones there besides the volunteer for a good while. She shared some pretty fun stories, and the exhibit itself is relaxing, made of solid wood like you are in a cabin up north. It was a good moment, watching the otters play, in the brisk air, the scent of pine around us. We were so delighted by them we didn’t take photos! Next we had planned to go through the Reptile house to warm up, but it was way too humid in there, and after being out in the cold, it was too much of a temperature change so we headed back out. At least the reptiles were comfortable though! We decided to just walk a little further before leaving – the zoo is pretty huge and we didn’t want Wyatt to get too cold. So our last and final stop were the camels. Usually this family is sleeping or just relaxing all together on the ground, but today they were up and at ’em, super active. There was one right by the wall too, we could hardly believe it! They are pretty cute, especially the babies! Wyatt was entranced. He is usually a ham, posing for the camera (just like the Gentoos! ), cheesing it up, but he couldn’t take his eyes off the camels to look at me long enough for a photo! All in all, it was a fantastic visit, albeit short. Next time we will see more, the Red Pandas, the lions, the wolves, the kangaroos, the polar bears (our Nuka just got a girlfriend!). All favorites of ours. One thing I love about the Detroit Zoo is how many of their animals are rescues. They do such a great job, and while I don’t know the percentage of their animals that they have rescued, I do know that a great deal of them were. It’s definitely worth a visit if you are ever in the area! We headed back home and had one of Wyatt’s favorite dinners – fish sticks and macaroni. The night sky even showed off for his birthday, with a clear sky and a giant brilliantly bright moon. My boy loves to be outside at night, stargazing, so this was the perfect ending to our day. He was a happy little boy. What a cool zoo you have! That is such a nice penguin exhibit. Glad the little man had a great birthday. You’re making me crave doughnuts now. Lol! It is so funny that he loves doughnuts – when I was pregnant I wasn’t gaining enough weight so they told me to start eating whatever I wanted. So I ate a lot of doughnuts! I think it influenced him! The Penguin exhibit is pretty awesome. The zoo is working hard to renovate all the enclosures for the animals to make them more humane and more like their environment. Our tiger is in the process of having a new home built – I can’t wait to see it finished.